OSKALOOSA, Iowa (AP) — An 11-year-old Iowa boy who wanted racing stickers to cover his casket has died. Michael Sytsma (SIHTZ’-muh), of Bates Funeral Chapel in Oskaloosa, says Caleb Hammond died Monday. He declined to say where. Caleb’s stepmother, Kaylee Hammond, posted a photo of the boy on her Facebook page and said in a post Saturday that he had taken a turn for the worse Friday. His family brought him home to Oskaloosa, about 55 miles southeast of Des Moines, after determining the painful leukemia treatments he’d been undergoing at a Des Moines hospital weren’t working and other options offered little hope. 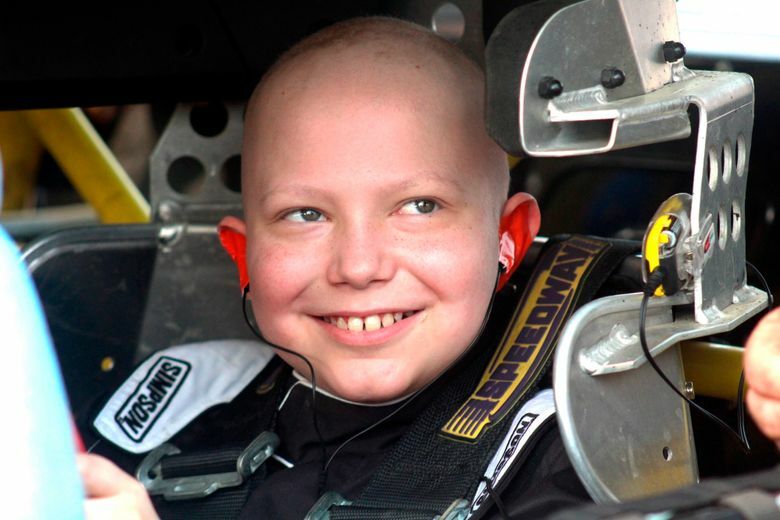 Race drivers and others answered his call for the stickers, and he was even given a chance to drive a race car at a local track, under the guidance of a 12-year-old racer. The Seattle Times does not append comment threads to stories from wire services such as the Associated Press, The New York Times, The Washington Post or Bloomberg News. Rather, we focus on discussions related to local stories by our own staff. You can read more about our community policies here.